Years after the 2008 financial crisis and some people have been slow to regain confidence in the share markets and low cash and term deposit interest rates leave them cold. A growing number of people have considered shifting their superannuation to the more self- directed option of a self-managed superannuation fund (SMSF). Small to Medium Business owners have always been at the forefront of adopting SMSFs and they have been particularly interested in this rapidly growing area for greater control of their superannuation savings and the flexibility of investments allowed in a SMSF structure. However the ability to either transfer their business premises into their SMSF via a contribution or sale, depending on their cash flow circumstances, has been attractive to many business owners. Current legislation governing SMSFs, the SIS Act, allows a SMSF to acquire only three types of assets from the members or a related party. These assets are business real property, widely held managed funds and listed securities (shares). Release equity to build the business – you can access superannuation funds to help fund business growth prior to retirement by way of a cash purchase by the SMSF. Asset Protection – to protect the value of the business real property in the event of bankruptcy, litigation or changes to your industry destroying your market. Build funds for retirement – you have a bricks and mortar investment to boost your retirement funds earning market rent at concessional rates with the ability to avoid any CGT if sold later. If you are seeking new premises then buying in your super fund allows you the security of tenure that comes with being your own landlord. Helps in preparing a business for transfer or sale. If the new owner or family members cannot afford to buy the business and the property, you can sell the business premises and lease them the property. You should always ensure the strategy meets the Sole Purpose test of providing for your retirement. It should stack up as a stand-alone investment in its own right. While it may be a sound investment now, things may change and your company may outgrow the premises leaving you again with a commercial property that may be hard to sell to extract equity for your next move. Commercial, retail and industrial property is often a good income orientated investment with income well above that available from residential property but rarely sees the same degree of capital growth. You need to be aware of the trade-off and a diversified portfolio should be considered. Once you are in pension phase you will need to fund pensions so you need to ensure liquidity in the fund. This is fine while rented or you can make contributions but remember if not working after age 65 you cannot make further contributions to help with liquidity. Transfers of business real property purchased from related parties must be transferred at current market value as if the transaction was to occur on an arm’s length basis. This requirement allows for very little manipulation of the market value and heavy penalties could apply if any transfer value didn’t stand up to audit and ATO scrutiny. So you have three or more options when it comes to the strategy. Your SMSF can buy the property utilising cash currently within the SMSF as a normal purchase. If your fund does not have enough cash then you can look at using a Limited Recourse Borrowing Arrangement to borrow the shortfall. More details on that strategy can be found here. Alternatively, you can structure the deal as an in-specie transfer (a contribution of an asset, in this case property, instead of cash). You are still subject to member contribution caps but we have moved properties worth up to $500,000 in for couples and $1,000,000 where the SMSF had 4 members using a combination of concessional contributions limits and the 3-year bring forward rule on non-concessional limits. You may also be able to use the Small Business CGT concessions in conjunction with a short term LRBA to move a property of up to $1.445,000 in to the fund with careful planning. The whole deal has been sweetened by the fact that a number of the State Revenue Offices including NSW OSR have allowed concessional stamp duty stamp ($500) on in-specie property transfers whereby no cash has changed hands. This stamp duty saving can make transferring the business premises into a SMSF much more attractive. It should be noted that stamp duty is a state tax with no uniformity between states. Please seek legal advice always when dealing with stamp duty on property transfers and tax advice when moving assets between entities. Remember the core philosophy behind Superannuation is that they must adhere to the Sole Purpose Test. While a strategy may help your business currently, its primary goal should be to provide for your retirement so the investment should always stand up as a viable investment regardless of your internal lease arrangements. SMSF Borrowing: What Can I Do With An Investment Property Within The Rules. Keep updated by putting an email address in on the left hand column and pressing the “Sign me up!” button. I trained in General Insurance in the UK after my Graduation and much of that time was in the complaints, claims and product design departments. So I know how things go wrong when people take out unsuitable policies or under-insure their properties. 24 years later and nothing has changed, so I have been recommending people use a General Insurance Broker if they are inexperienced, lack confidence or want help and advice about insuring their business, liability or property assets. Don’t skimp on your insurances because when the time comes and you have a claim, you won’t be congratulating yourself on how much money you saved on your insurance premiums. If you have purchased property in your SMSF it is important for you to take the correct steps to insure your investment. If you borrow against the assets in your SMSF the mortgagor will require you to have adequate cover for the asset and for the Liability obligations of the SMSF. If the assets of the fund cover the purchase in full however you are still required as Trustee of the fund to correctly insure the funds interests. The fund is not permitted to “self-insure” any assets or property. The ATO has strict guidelines regarding the duties and obligations of SMSF trustees so it is important to get your insurance program right. The SMSF Trustee is entitled to take out insurances for the property as the Fund is liable under the loan and is also absolutely entitled to the benefit of the Property. As the Fund is ultimately the party that is detrimentally affected should anything happen to the Property, the SMSF Trustee should ensure that the Fund is able to claim for any damage that might occur. The Holding Trustee is the legal owner of the land and is entitled to insure the property against damage, and likewise for landlord insurance. Some lenders may also insist that the registered proprietor of the property holds an insurance policy for the property. But it is important to keep in mind the nature of the arrangement between the SMSF Trustee and Holding Trustee should insurance be taken out by the Holding Trustee. As the Holding Trustee is a bare trustee it must make sure that it does not take any action unless it is directed to do so by the Fund Trustee, who is absolutely entitled to the Property. This direction by the Fund Trustee should be done formally and in writing and confirmed by the Holding Trustee executing minutes to confirm this action. The final answer is that both the Holding Trustee and the SMSF Trustee have an insurable interest in the land and that both are eligible to be the owner of the property insurance and landlord’s protection insurance over the property. In both instances all amounts payable in respect of the insurance should be paid by the Fund Trustee. Obviously the Holding Trustee must hold any policy proceeds on trust for the SMSF. From a purely administrative position it would be easier for the SMSF to hold the insurances to avoid the constant but mandatory interplay between the SMSF and its bare trustee the Holding Trustee. But the insurance company may have its own requirements as might the Fund’s Lender. So our preference is to have all insurances for the SMSF in the name of the fund. You cannot have personal items or assets listed on a policy in your funds name, and likewise you cannot have your fund’s assets listed on a personal policy for some of your personal assets. As with all insurances, you really do get what you pay for. The more optional extras you include in your policy the more protection you will have. Let’s go through a fairly standard Landlords Insurance policy and give some simple definitions of each section. Like your personal household insurance policy your landlord’s policy will have cover for both your Building and for your Contents. These are fairly standard; however it is important to read the definitions to determine which items come under which section of cover. You may be in for a surprise if you haven’t studied the wording properly. Where a Landlords Insurance policy differs in comparison to your standard household insurance is in the additional covers offered. Loss of Rent – This is to cover your lost income if you have a claim under your building and contents cover, and the property becomes uninhabitable as a result. Strata Title Mortgagee’s Protection – This covers the mortgagee named in the Schedule as if they were “You” on the same terms as Section1 against physical loss or physical damage caused by any of the Defined Events (it does not include the Additional Benefits). Deliberate Damage and/or Theft by Tenants – Cover for physical damage arising from deliberate, intentional or malicious acts and acts of theft to the Building or Contents by the Tenant. Tenant Default – This cover if for loss of rent, payable by the Tenant, which arises from damage covered under the Deliberate Damage/Theft by Tenant section above or from breach of a written Lease agreement. Chances are you’ve worked hard at acquiring your assets and building your Super for your retirement. Don’t skimp on your insurances because when the time comes and you have a claim, you won’t be congratulating yourself on how much money you saved on your insurance premiums. Instead you will be hoping your insurance policy will respond to your claim. If you’re at all unsure on what you need, talk to an Insurance Broker. If you don’t know an insurance broker, then speak to the people you trust with your Investments and your accounts because they should be able to put you in touch with an Insurance broker they trust. For more information please don’t hesitate to contact me. 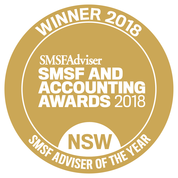 The SMSF Coach or Verante Financial Planning do not request or receive any commissions or referral fees from recommending services from Insurance brokers, we just want the best professional advice for our clients. Can I borrow to buy a house and land package off the plan in my SMSF? Keep updated by putting an email address in on the left hand column and pressing the “Sign me up!” button. Happy to take comments in the section below. I openly admit that I am not an expert in choosing properties (indeed my own personal history with property investing is dismal to say the least!). I work on the structure and strategy with my clients and recommend they do their own in-depth property research or lately I have been recommending people use a Buyer’s Agent if they are inexperienced or lack confidence or want help and advice but need to know that person is working 100% on their behalf. Searching or looking for a home to live in or investing in property, could at best be an intimidating experience. You wouldn’t invest half a million dollars in a business without a strategy or without a business plan, then why would you invest that, or even more, into a property without a plan or strategy? With a process of consultation we determine what clients really need to reach their own personal property goals. Through step by step professional guidance we determine a strategy suitable to our clients needs and finally implement that strategy, finding the home or investment property that credibly suits the designed and agreed personal property strategy. We work exclusively for the Property Investor/Home Buyer. We have no alliances with any real estate agencies, selling agents or property developers and we fight for our buyers! There’s a clear distinction between our services and those of selling agents. We don’t sell property, have no ‘stock lists’ and as exclusive buyer’s agent, we only act for the buyer not the seller. We give our clients choice and by doing independent research and providing professional guidance, we empower our clients to make the right choice and purchase their ideal property at the right price. You don’t have to rich and famous to use our services. We will save you money, time and stress, whatever your budget. We save our clients heartache. No more the need to try to figure out if my friends ‘advice’ at the BBQ to invest in that ‘hot’ area is credible or not! Believe it or not, but 80% of mistakes that’s made in investing in real estate are made at the buying stage. We are a fee for service organization and any potential commissions, discounts or fees that we could get back for our clients from developers or vendors; we diligently negotiate back for our clients as far as its possible, often resulting in our clients getting much better return in dollars than what they paid us for our professional services in the first place! This saving could often run into the tens of thousands of dollars or much more. We absolutely do not accept any sales commission or incentives from vendors, builders or developers. We are truly independent. We will not refer our clients to service providers that don’t have their best interest at heart. We have created a safe environment for property buyers with like-minded people all focused not on: ‘What’s in it for me’, but on: ‘What’s in the best interest of my client’. We carry appropriate and adequate Professional Indemnity insurance for the services we provide and are fully licensed real estate agents. Why not build your property portfolio on good foundations? Make your next property acquisition an informed one. 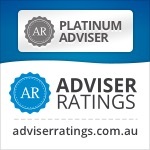 The SMSF Coach or Verante Financial Planning do not request or receive any commissions or referral fees from recommending services like Louis’, we just want the best professional advice for our clients. Living in Sydney and I have many clients who dream of retiring up or down the coast or inland to more suitable and often slower paced areas of Australia. Many plan to downsize and sell their Sydney home in retirement and purchase a place on the coast. The issue that arises is that they often feel they have identified the area or actual property they want to live in during retirement and want to secure it now. Others are afraid that the selected area will be priced out of their budget in future years with so many baby boomers retiring over the coming decades. So here is a solution we used for a few of our clients wanting to plan ahead and reduce that risk. Jeff & Joan (of course it’s not their real names!) came to see me in 2006 and they had a lovely house in Hills District of Sydney but it was 2 storeys and with Jeff’s knees playing up they knew that they would need a single level property later. Also they planned to move to Lake Macquarie to be nearer their children and hopefully future grandchildren in Newcastle in retirement. They could not borrow to buy a property in their own names as they had business and family commitments that reduced their borrowing capacity. They had a decent sized SMSF and could afford to buy a property as part of their diversified strategy so we put this strategy to them. They identified a property they would like in Lake Macquarie that ticked all the boxes and was currently tenanted. We revised the SMSF Investment strategy and put the trustees reasoning for investing in residential property and the projected returns and maintained a diversified investment portfolio with the other funds. We also looked at options and exit strategies as part of the analysis and the investment stood up as a sound one for their portfolio. There SMSF purchased the property in early 2007 for $400,000 and it was a sound investment over the following 5 years providing a reasonable rental income and about 3% capital growth per year over that time which was decent for a single level property just one street back from the water. In 2012 Jeff decided to retire and Joan agreed to reduce her hours. They put their house in Castle Hill on the market and gave the Lake Macquarie Tenants 4 months notice which they felt was fair. Their Sydney property sold a few months later for $850,000. We got a professional valuation on the Lake Macquarie property and it was valued between $480,000-$500,000, so we agreed a market value of $490,000. The couple elected for a lump sum pension commutation from their SMSF paid “in-specie” as the Lake Macquarie property from their Self Managed Super fund and because it was in NSW they did have to pay Stamp Duty on the transfer. I believe on Victoria and WA there are exemptions that apply on such transfers as long as it is the same Beneficial Owners after the transaction. We sought legal advice here in NSW and were unable to get this concession. The couple then used $150,000 to renovate the property and kept $150,000 in Term Deposits in their own name. This left approximately $500,000 which they contributed as Non-Concessional contributions equally to the SMSF. Secured their choice of future retirement home earlier. The relief of having this certainty should not be underestimated by advisers. Rental income from 2007 to 2012 was taxed at only 15% rather than their higher marginal rates. 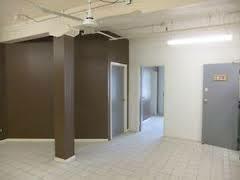 Secured a $90,000 tax-free gain on the investment property as they were in pension phase. Turned their superannuation accounts from mostly a Taxable component to accounts with more than $250,000 each of non-concessional components and Tax Free to their adult children as part of their Estate Planning. Oh and they missed the GFC effect on this portion of their investments! The house prices did not run away from them in Lake Macquarie but at least they were not worried. I must also mention a comment the clients made in their latest review and that was that in the 12 months since they moved they have not seen an alternative property, that would have suited their needs so well, come on the market so the advanced planning worked in their favour. Oh and they now have 2 grandchildren that they look after 2 days per week while enjoying the Lake Macquarie lifestyle they wanted. Why not checkout my article “ What can my SMSF invest in?” as a good place to start. As always please contact me if you want to look at your own options. We have offices in Castle Hill and Windsor but can meet clients anywhere in Sydney or online via Skype. Interested in property and also running a business? Then one popular strategy used by many small business owners is to own their business premises in their self managed superannuation fund (SMSF). Before we start let me emphasise, this is not a strategy to prop up a failing business. some asset protection as in the event of severe financial difficulty or even bankruptcy, creditors find it more difficult to get access to or create caveats over super fund investments as long as the premises were bought or transferred to the SMSF in good times, for clearly documented reasons and not deliberately to prevent creditors efforts to seek redress. By having the premises owned by the fund rather than a third-party landlord you have more freedom to add fixtures and fittings, additional capacity and make changes to the layout without having to seek someone else’s approval and have surety of tenure that the costs can be recouped over time rather than worrying about ability to renew a lease at the landlords whim. By accessing the capital held in a self managed super fund, your business can have more flexibility to make better use of its own capital to build or maintain the business. It can often make it easier to sell a business later or pass it to family if they are not burdened with the capital requirements of funding a property purchase as part of the deal. This can also be a very stable income source in retirement as commercial / industrial property rents are often 7% or more. When a SMSF owns real estate and you want to lease it back to your business which is seen as a related party of the fund the property must meet the definition of business real property (BRP). Related parties of your fund include all its members, all their relatives and entities that those members and relatives control, or are deemed to control. where the real property is used wholly and exclusively in one or more businesses (whether carried on by the entity or not), but does not include any interest held in the capacity of beneficiary of a trust estate. the underlying land must satisfy the business use test in the definition, which requires the real property to be ‘used wholly and exclusively in one or more businesses’ carried on by an entity. SMSFs with in-house assets need to make sure that their fund’s total in-house assets do not exceed 5 per cent of the market value of all the fund’s assets. The 5% test is measured at acquisition and at the end of each financial year. If there is a breach, then corrective action must be taken. To keep the relationship on an arm’s length basis do not take short cuts, treat the lease like it was between 2 unrelated parties out and formal lease between the SMSF and the tenant (your or any other business). The terms of the lease should be clear and easily identified by an auditor reviewing the actions and paper trail of the trustees. As trustee’s you are dealing with this property on behalf of the SMSF so you must be prepared to enforce the terms of the lease with the tenants. Lease payments must be paid on time and I recommend a direct debit be set up to ensure the temptation to delay or miss payments is avoided. If the business fails to meet its rental payment schedule the default penalty clauses must be enforced as they would for a third-party lease. Peter the Physiotherapist is specialising in rehabilitation and water therapy and needs a property where he can install heavy equipment bolted to the floors and a hydrotherapy pool. A suitable property is available locally for $750,000. The problem is that the business doesn’t have the capital to purchase the property or the capacity to borrow that amount. Peter and his wife Margaret have their own SMSF which has $450,000 in the fund. Peter & Margaret decide that SMSF should purchase the property using a Limited Recourse Borrowing Arrangement to borrow the other $400,000 plus costs leaving $100,000 liquid cash in the fund. They must use a Holding trust arrangement to hold the property under this type of scenario. A commercially comparable rent needs to be agreed and paid from the business to the SMSF. The SMSF is a very tax effective investment vehicle in the long-term as once the members enter pension phase, the CGT and tax on rental income can be minimised. Before contemplating this type of transaction is contemplated, it’s essential to consider the member’s long term retirement needs and the super fund’s investment strategy. Consider what are the impacts on the super fund in terms of liquidity, diversification, returns on the investment and what if the business fails and the property remains vacant unable to find a suitable tenant. To discuss your needs you can contact me at my Castle Hill or Windsor offices or I am happy to use Skype, phone or email as suits your needs.